Maybe it’s because I’ve been in denial that it’s actually going to be winter soon. Maybe it’s because I’m clinging on to my warm weather wardrobe like I’m a 41 year old football player and it’s my career. Maybe it’s because it hit 70° two days ago. All I know is that I have been a horrible friend to autumn this year. I sort of have a complex about autumn. In Chicago we usually go from summer to winter in about 14 hours. I have a hard time accepting autumn’s arrival because I know that it’s only a matter of a few short weeks before I get slapped in the face by wintertime in Chicago. But tonight, my friends, I caved in to autumn’s seductive ways. An acorn squash, to be precise. 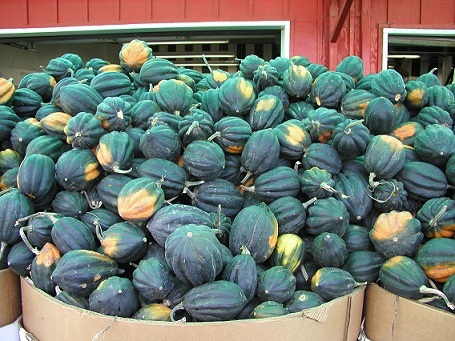 Even the gourd family taunts me with the changing seasons by classifying this as a “winter” squash. 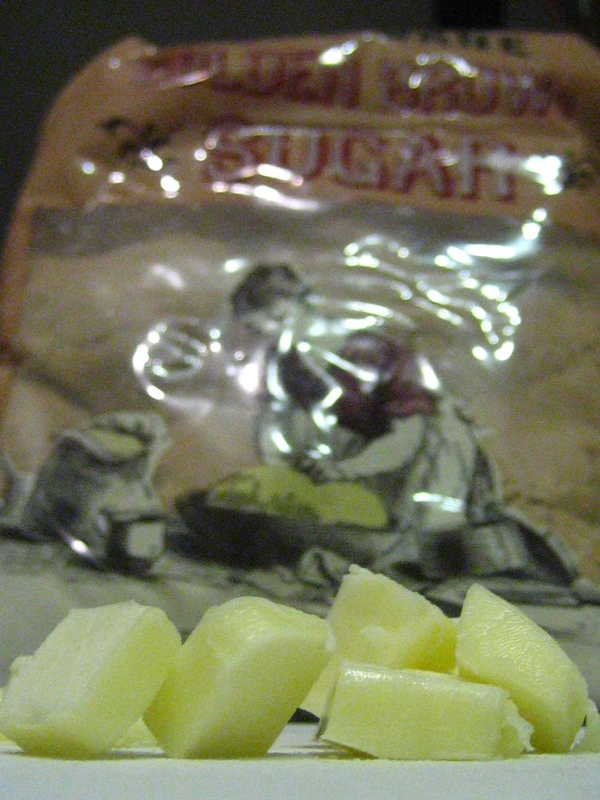 Cut the sucker in half across its equator and scoop out the seeds and stringy pulp. I also like to cut some slits and poke some holes in the flesh to let more of the seasonings absorb into it. I placed it cut side down on a foil lined baking sheet and roasted for 30 minutes in a 400° oven. Then I flipped the halves over and added some butter and brown sugar. Plus a little salt, pepper and cinnamon for good measure. Back in the oven for another 20 minutes or so. 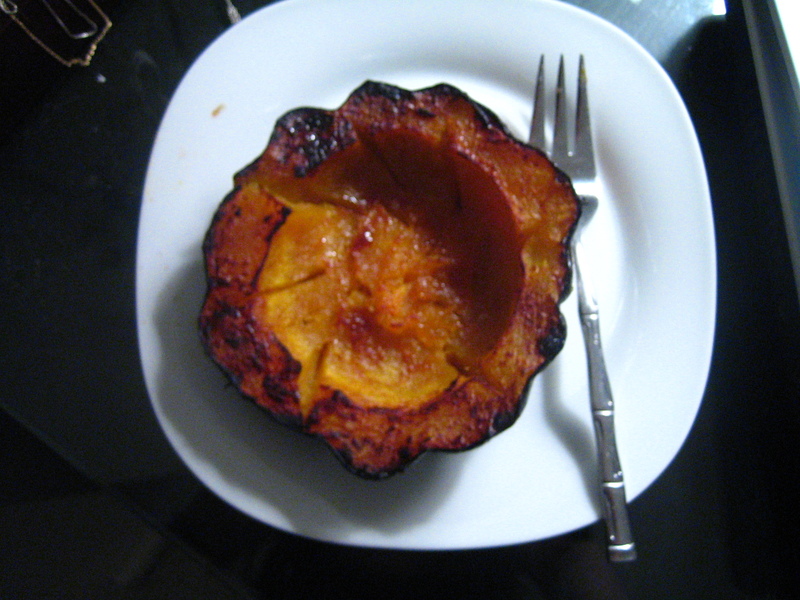 Then, because I’m a wild and crazy guy (err…girl) and enjoy all things caramelized and/or crunchy, I cranked up the broiler and blasted the squash for another 5-10 minutes. Oh autumn, I’m sorry I scorned you. Thank you for waiting for me to come around before you took off and left me with your bitchy sister, winter. I paired my squash with a green salad that has absolutely nothing to do with the season. 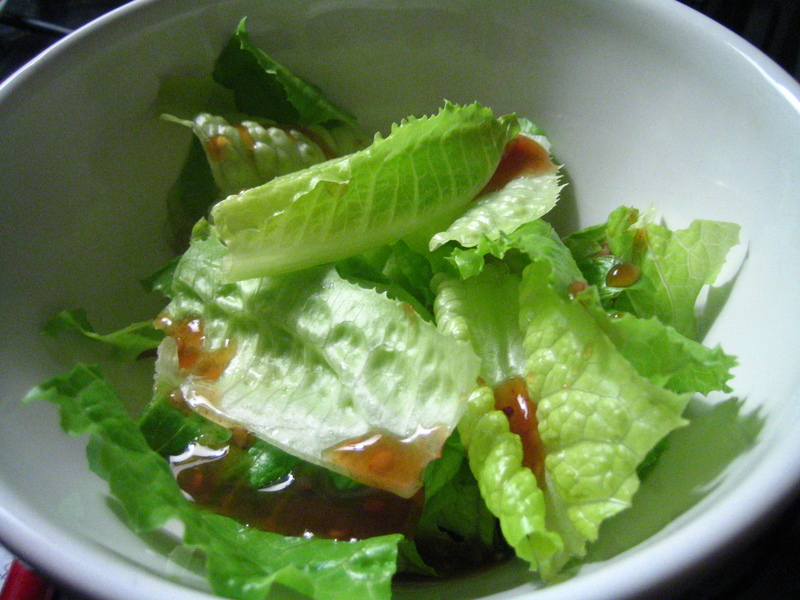 But I needed some leafy greens, so you know…I went with it. I’m thinking I’ll use the other half of the squash for lunch tomorrow, maybe mixed with some cooked brown rice. Oh, the options. 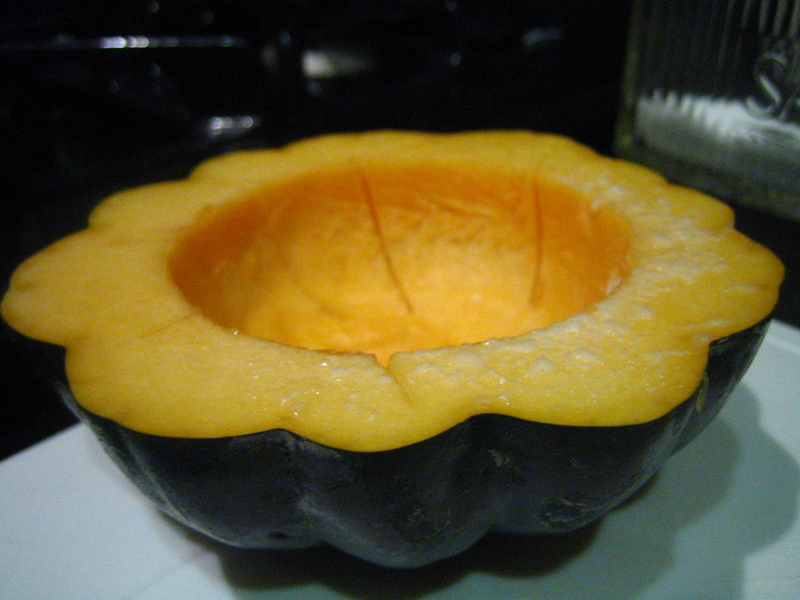 Acorn squash is actually one I’ve yet to try… I’ve heard they’re really good for “stuffed” dishes. Um, it’s probably linked to your fear of knives. Hehe. Girl I’m the same way. Autumn really isn’t a season in Illinois..it’s a week! I’ve been resisting Fall foods for some reason. I’m not a huge fan of squash and I hate chopping them up, but I think it’s time I go for it..